NDOT Director Kyle Schneweis spoke in support of the bill, saying there already is a system in place to apply for a one-time, project-specific relaxation of standards from the Nebraska Board of Public Roads Classifications and Standards (NBCS). 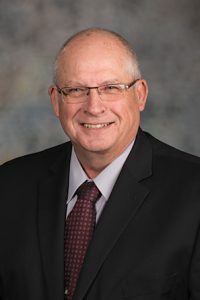 The bill would allow the department, counties or municipalities to apply for programmatic pre-approvals, he said, which could apply to an entire category of roads projects that are materially similar. “Practical design provides the Department of Transportation’s professional engineers the flexibility to safely and efficiently modernize our transportation system to best serve Nebraskans,” Schneweis said. Roger Figard, NBCS chairman, also testified in support of LB82. He said it would not reduce or eliminate NDOT’s responsibility to meet statutory requirements. The bill also would allow each county and municipality to electronically certify completion of one-year and six-year road improvement plans required annually by state law, rather than submitting hard copies of both plans to NBCS.